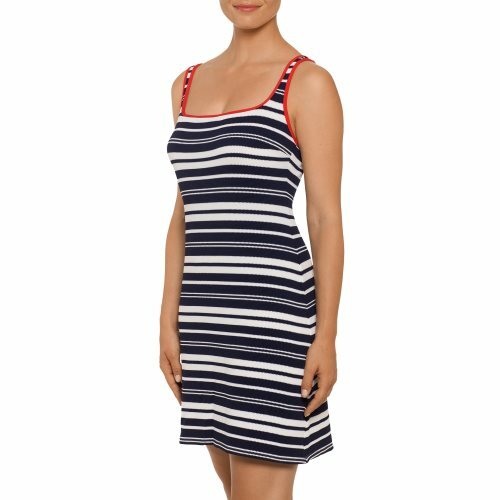 PrimaDonna Swim PONDICHERRY dress Sailor. 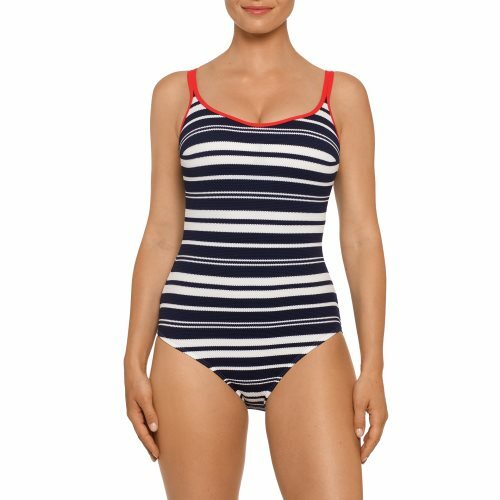 Buy lingerie online. 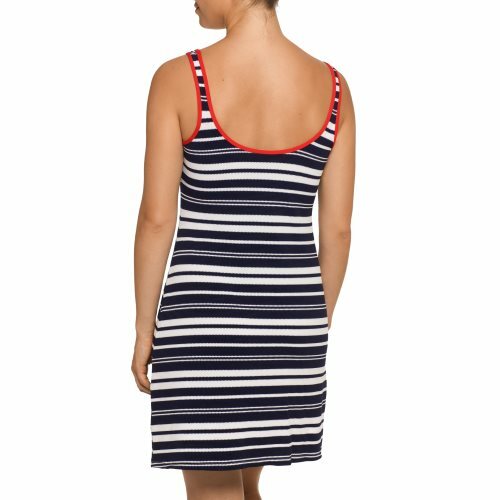 Dress with navy stripes on a piqué swimsuit fabric and red piping at the top. 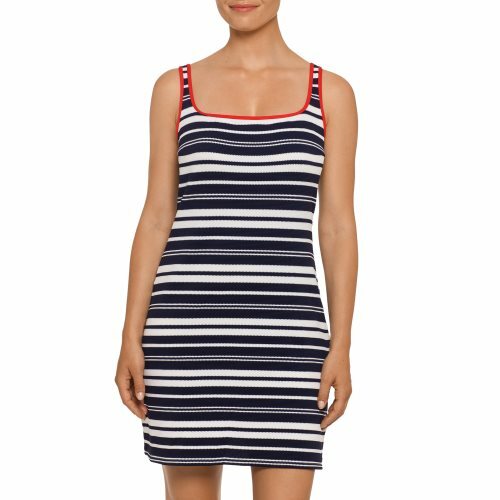 Wear it as a trendy beach accessory or as summer dress. 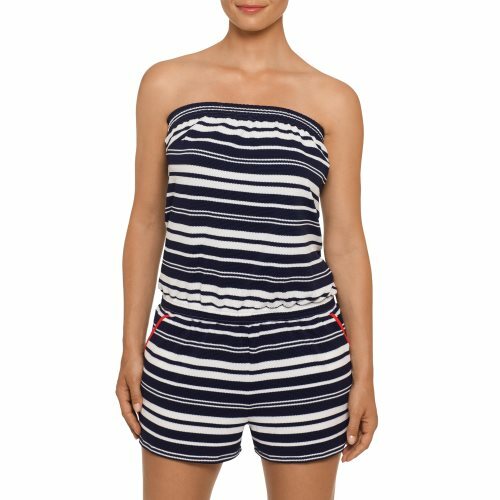 The stretch fabric fits nicely around your breasts and creates an elegant waist. It falls loosely around your hips and upper legs.